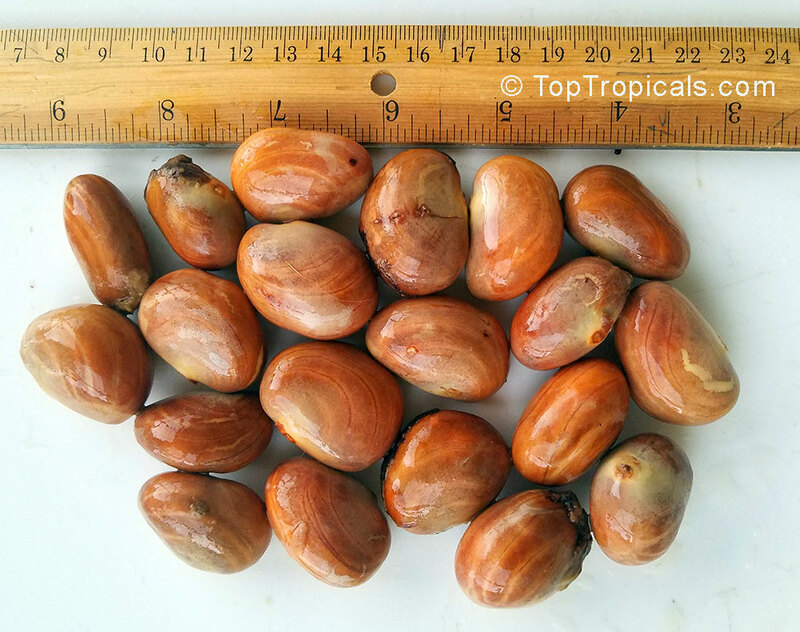 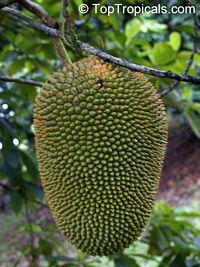 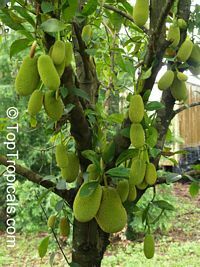 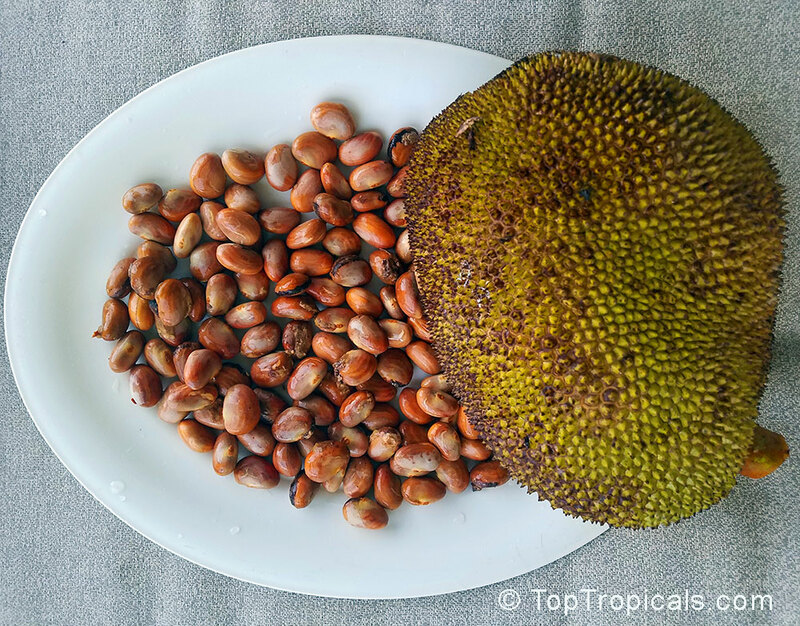 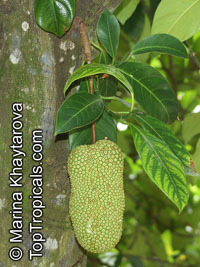 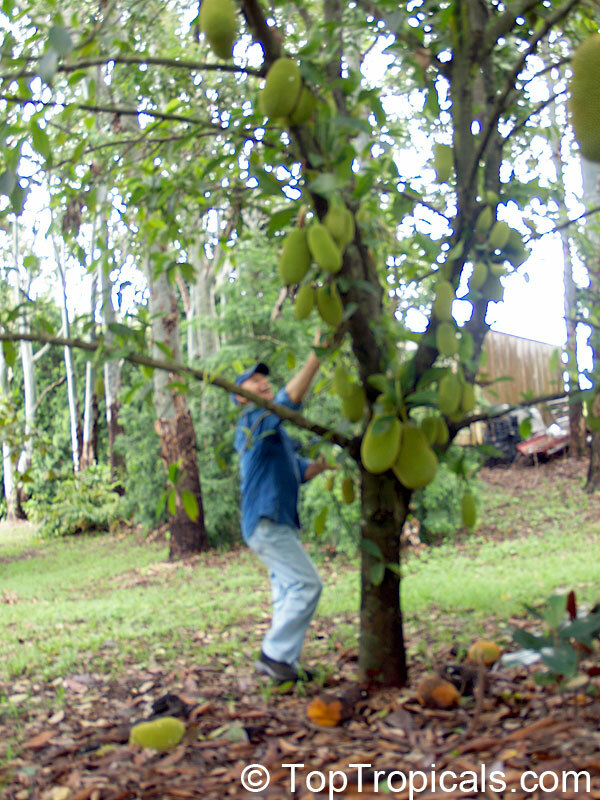 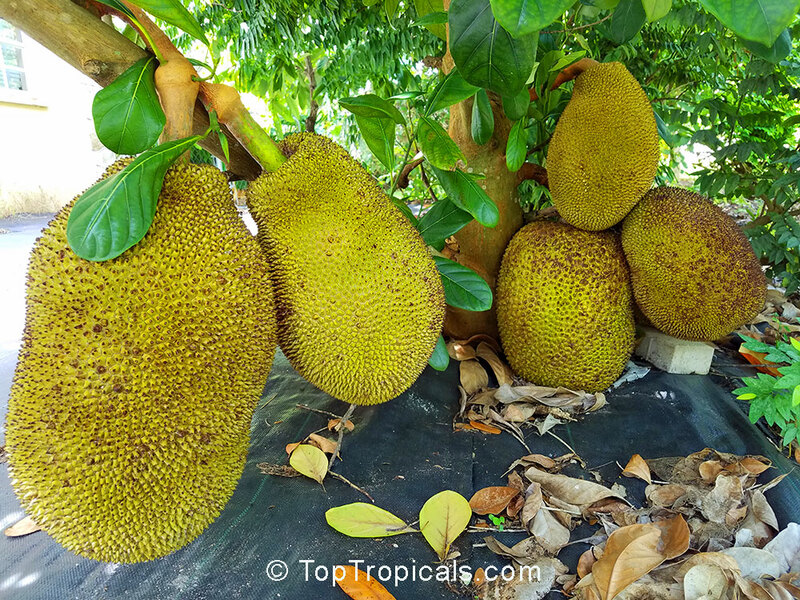 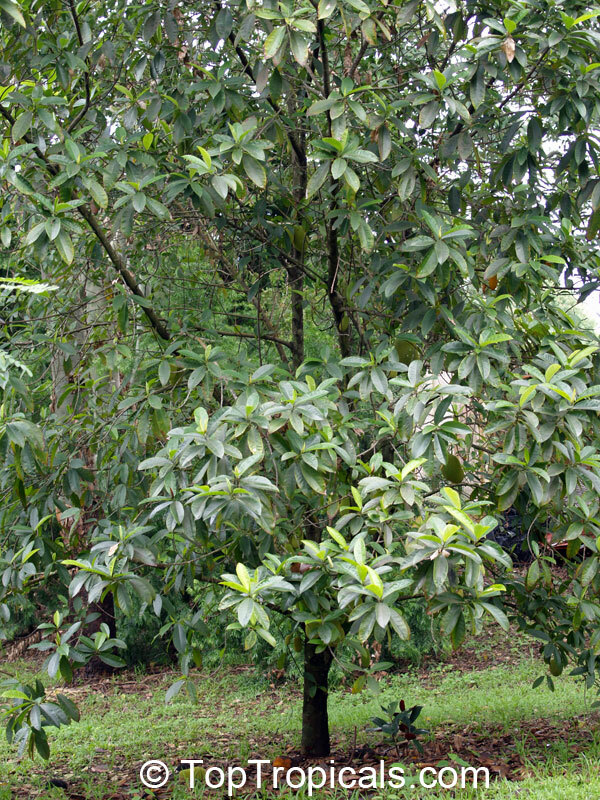 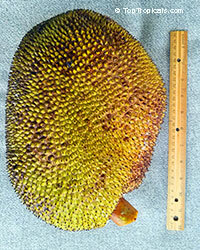 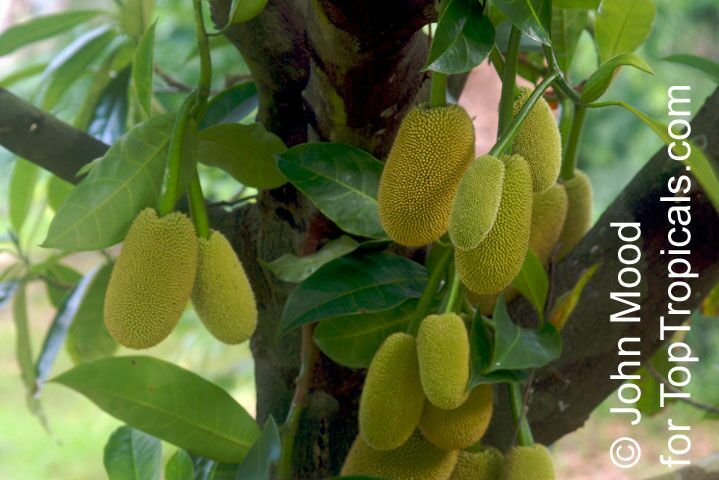 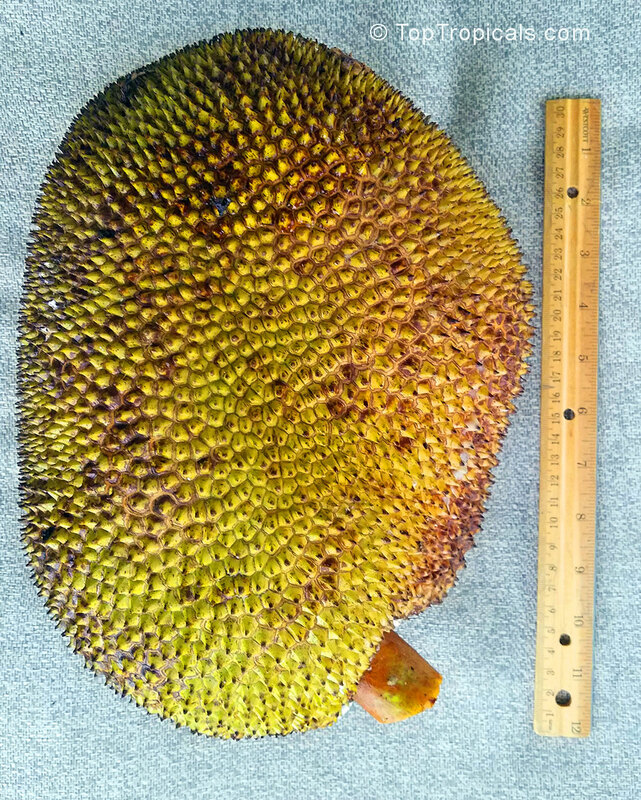 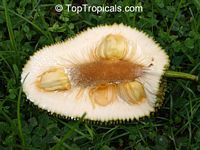 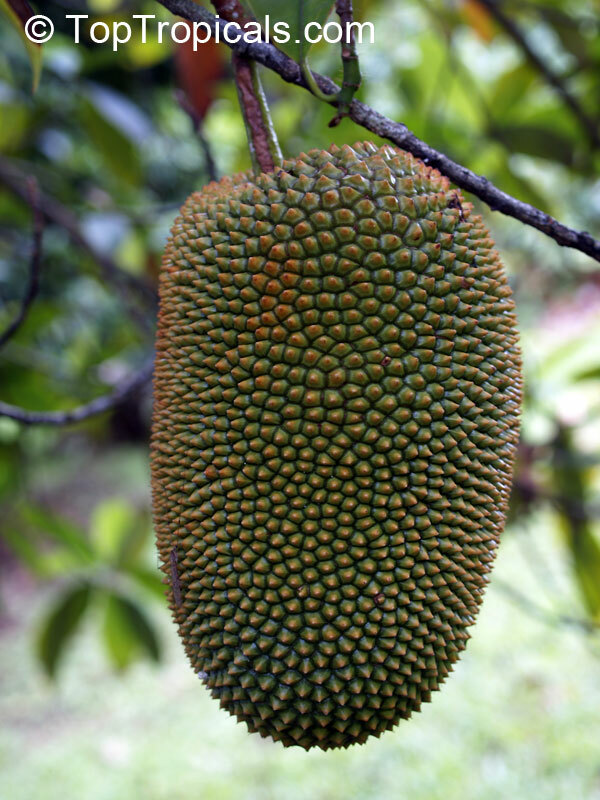 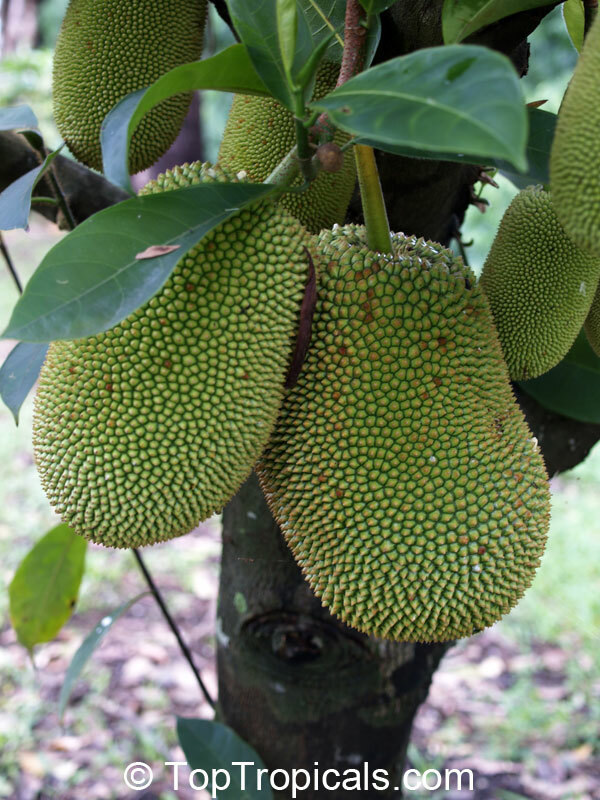 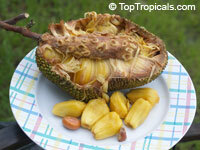 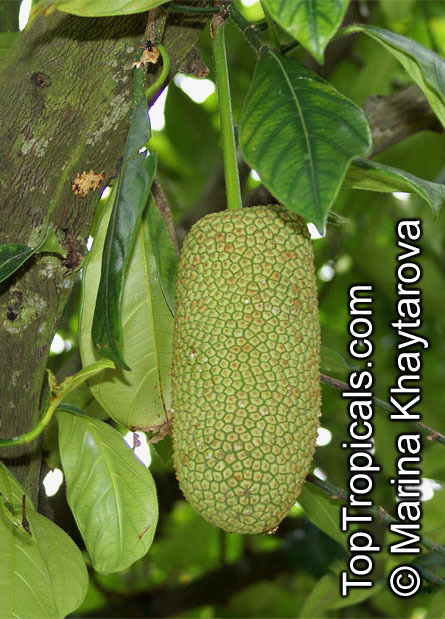 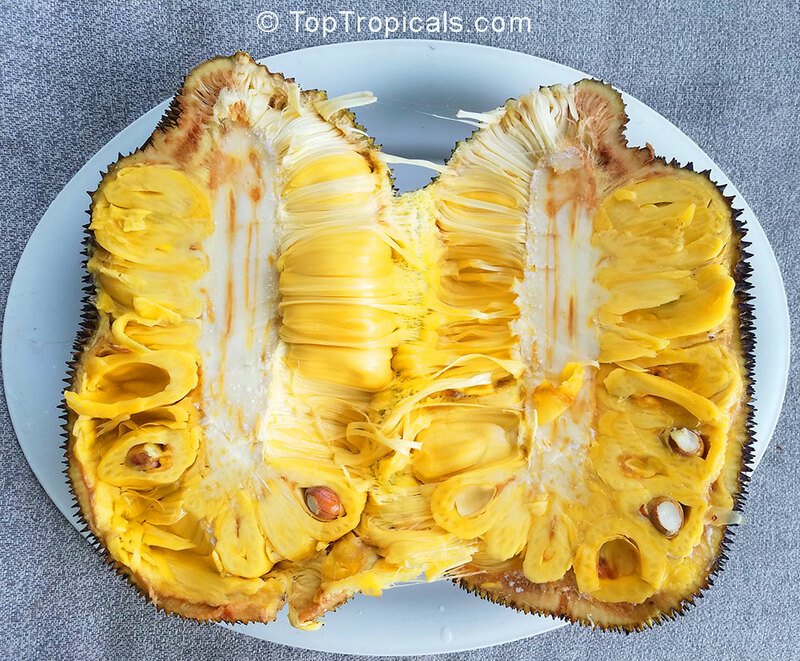 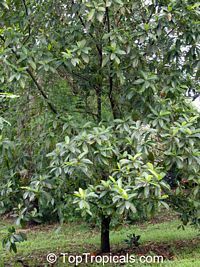 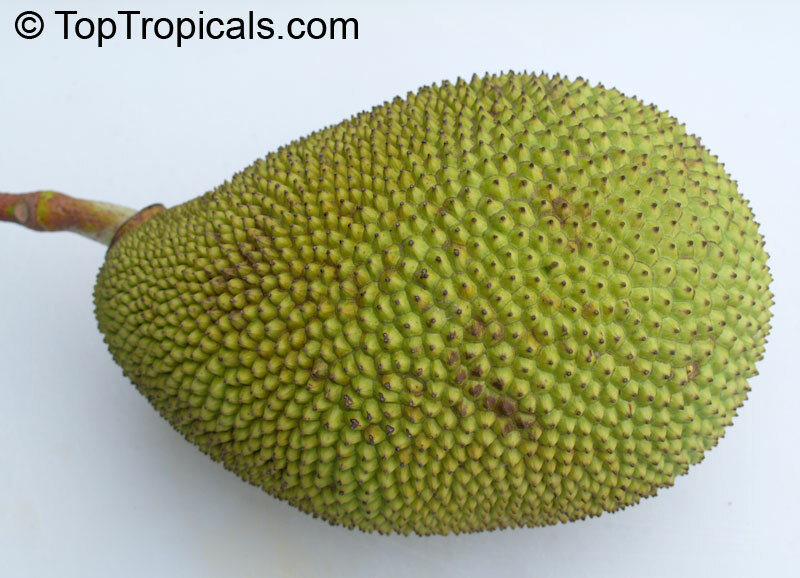 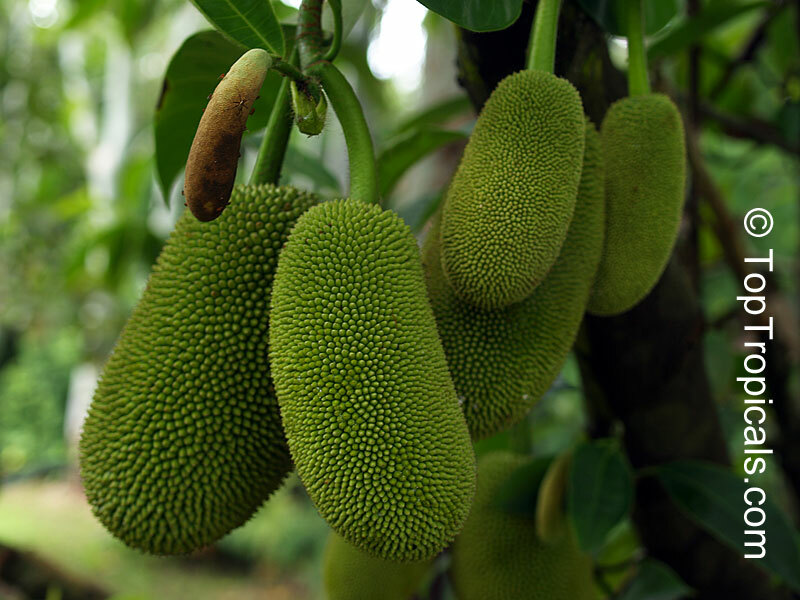 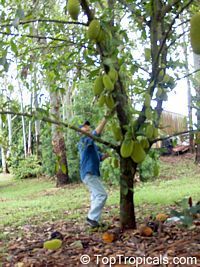 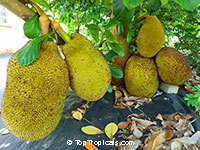 Medium size (5-7"), sometimes cylindrical fruit with smoother skin than Jackfruit. 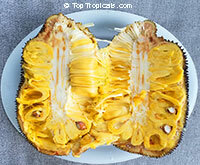 Pulp has a sweet, juicy, yet creamy texture. 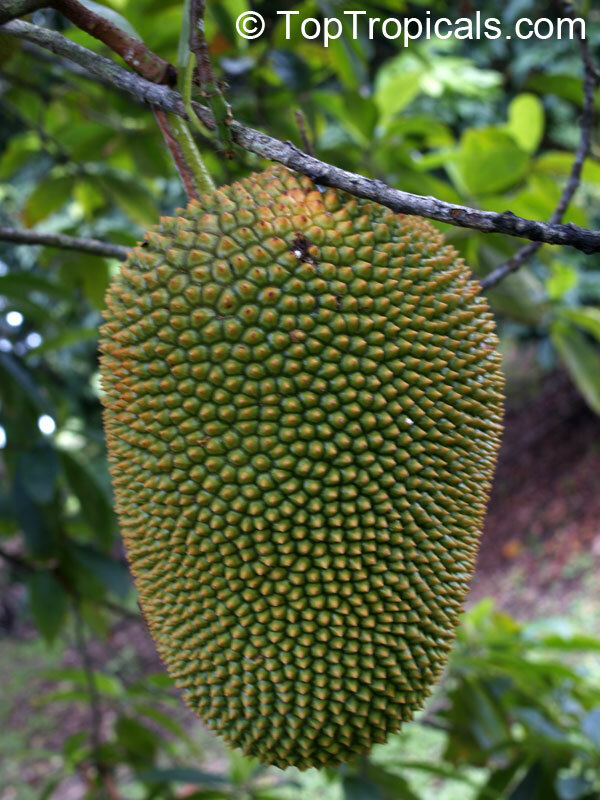 Less fibrous and acidic than the Jackfruit. 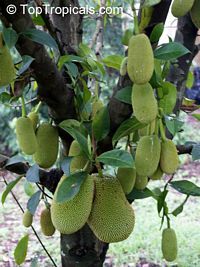 Eaten fresh and used to make ice cream. 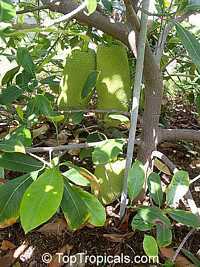 Young fruits are eaten as vegetables.